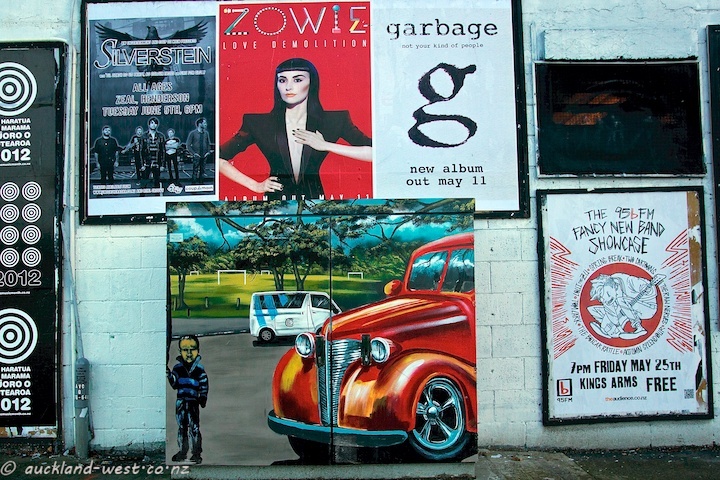 It more than holds its own amidst the many posters that are on the block of shops at the corner of Avondale and Rosebank Roads. 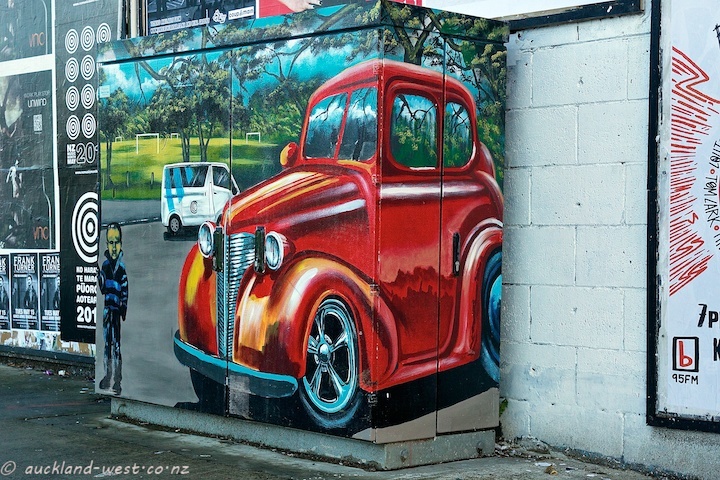 Te Atatu artist Cliff Uepa’s red car is hard to miss. 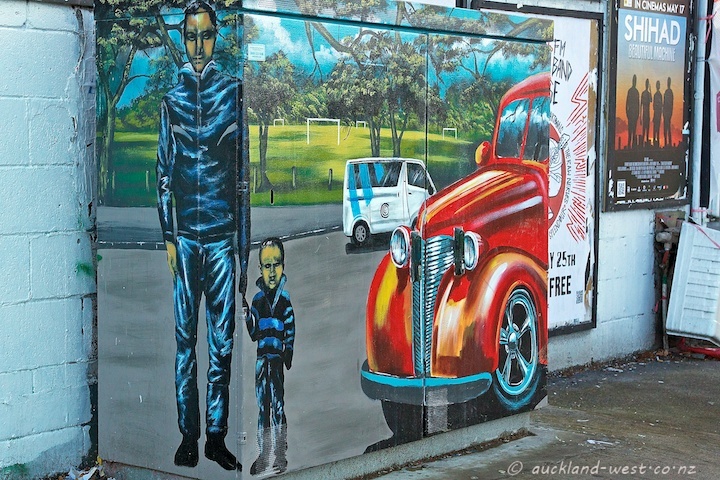 But there is more on this telecommunications box: the trees and green playing fields of nearby Eastdale reserve, as well as a father and son. 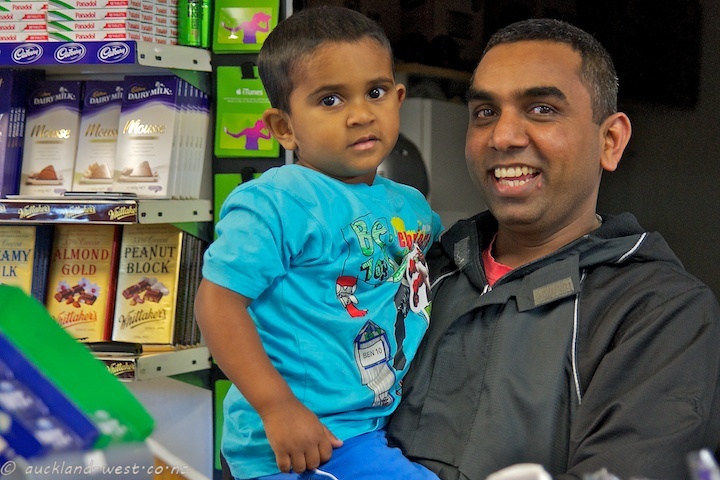 When I enquired at the Dairy around the corner, Samir pointed out to me that he and his son Dilan had modelled for this occasion. More painted boxes by Cliff Uepa here.